To change the long time behavior of a market that uses mostly cash on their daily spending, Mastercard embarked on a journey to cut through the market full of challenges and drive card usage using the king sport: soccer. UEFA Champion League was the perfect bait for Vietnamese fans. We started by inviting fans on the Road to Milan to celebrate the highlight of every match. By encourage fans to “goals in their own ways”, record it and share with Mastercard to get a ticket to the finale game, we earned 400,000 Facebook’s engagement. Then we converted the attention to card usage by letting users swipe their way to Milan. Cardholders were rewarded with miles each time they use Mastercard. The more they swipe, the shorter the distance. 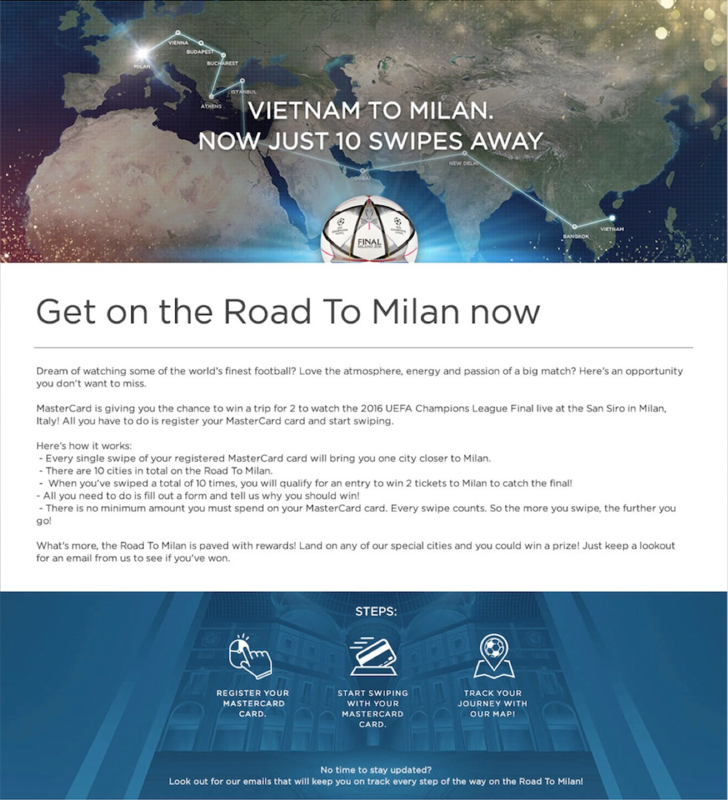 Road to Milan reached 50 million people in Vietnam. And Mastercard total transaction increased 16 times.